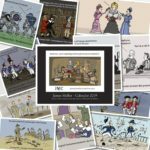 James Mellor Creative turns your ideas into readable prose accompanied by cartoons to get the point across. Focusing on three areas of talent and expertise to benefit you either as a collective, or if you prefer, individual pieces. 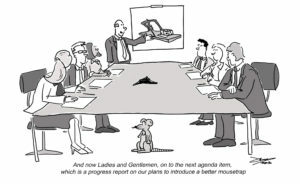 Gathering data on your behalf, facts, figures and anecdotes. Sifting through the information and analysing the substance to increase understanding of a topic and give you good solid foundations for any content produced. 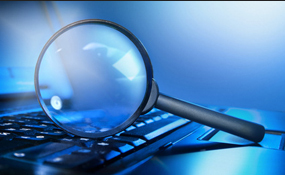 Once your research is completed, writing up the background into articles, webpages or material of any type that you may require. 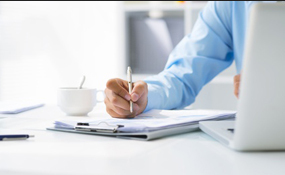 Writing may also mean just turning some of your words into readable pages. Skilled at listening and understanding what you are trying to communicate as well as writing engaging content on your behalf. To make your vision into a reality by producing images specifically designed for you. Ink drawings get a message across with clarity and precision. 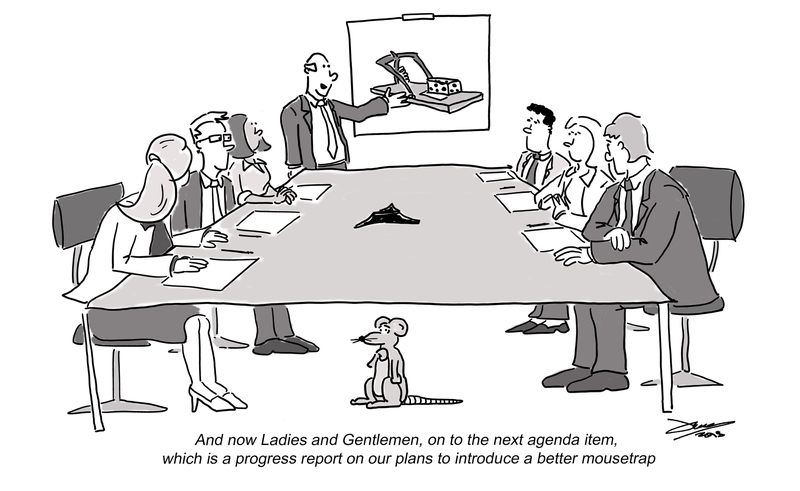 Cartoons pack a punch, generate interest and add humour. If you want to stand out from the competition, a unique design that has been illustrated specifically for you will look great and also add value to your content. Every aspect of James Mellor Creative is designed as a visual and readable showcase for your products and services that is elegant and effective. Talk to James today to find out what he can do for you. 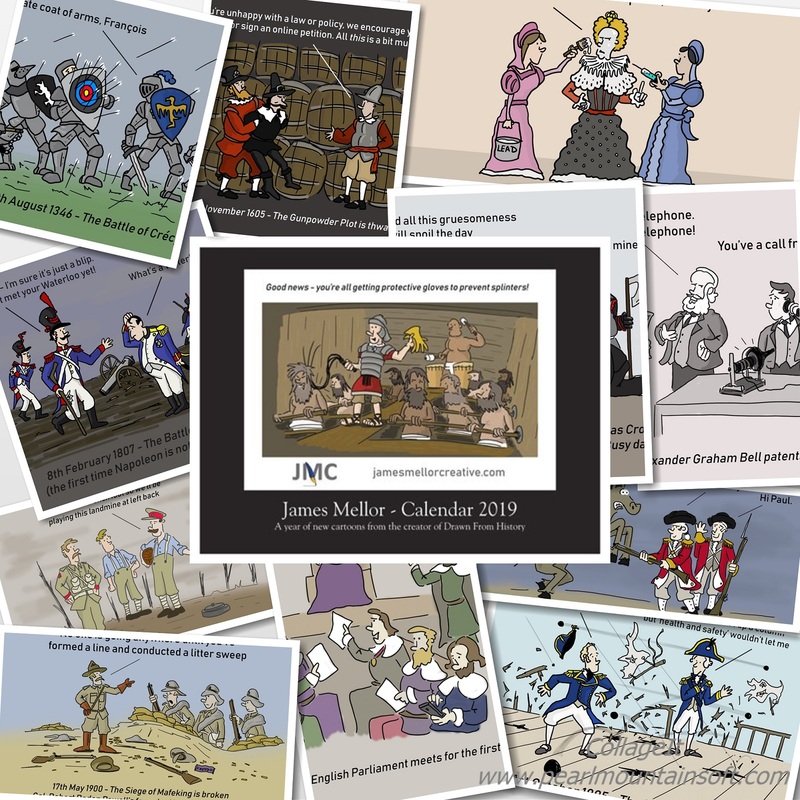 James Mellor Calendar 2019 – new history cartoons for a new year.